Marble Mochaccino Cake is a coffee & chocolate lover’s dream. 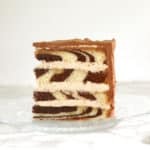 Buttery marble cake is layered with airy cappuccino cream and the entire cake is iced with whipped espresso ganache. This cake is flavorful and light as a feather. If you think the only thing better than coffee is chocolate, and the only thing better than chocolate is mocha, well this one’s for you. There’s not a whole heckuva lot to say about this recipe. I mean, if you like a good mochaccino I think you can imagine how wonderful the flavors are. 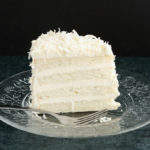 Not only is the cake unbelievably tasty, all the components are light and airy. 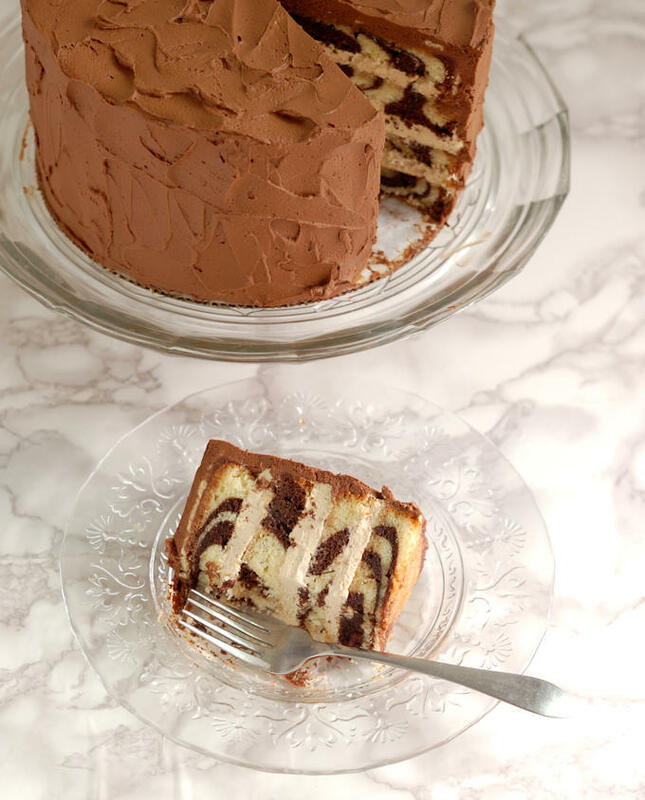 The Marble Cake is my newest cake recipe and I’m crazy about it. Admittedly, marble cake mostly tastes like chocolate. Chocolate is such a strong flavor it pretty much takes over so, honestly, you can’t really taste the vanilla part of the cake. 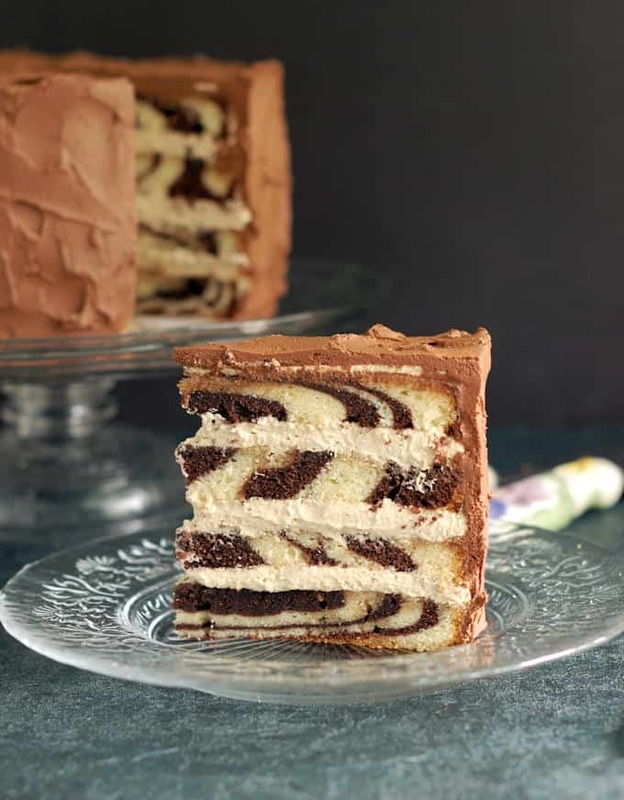 But we also eat with our eyes, and marble cake is just so dang pretty when it’s sliced. 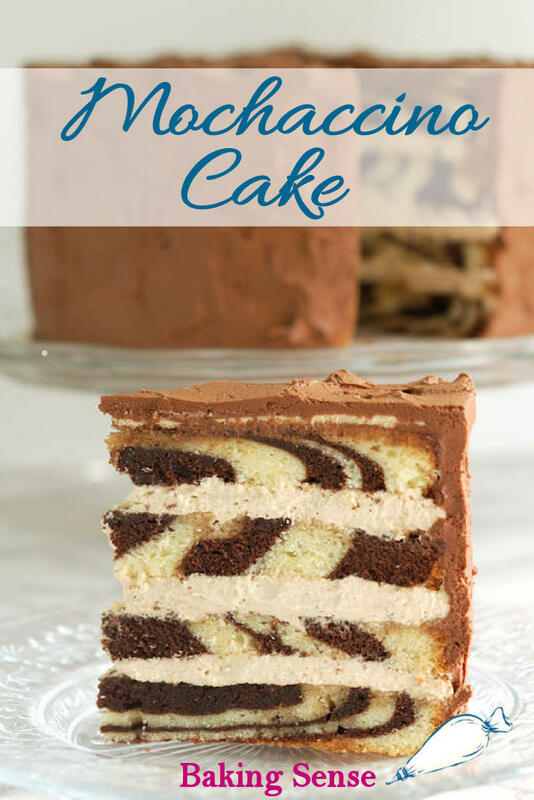 The two-tone cake is a great fit with the “two-tone” flavor of the cake. The cappuccino cream is super light and luscious with a perfectly-creamy, coffee flavor. To guild the lily I frosted with cake with whipped espresso ganache. And, me being me, there’s plenty of Kahlua flavoring throughout the cake because alcohol enhances flavor! As always, you can omit the Kahlua if you prefer an alcohol-free cake. 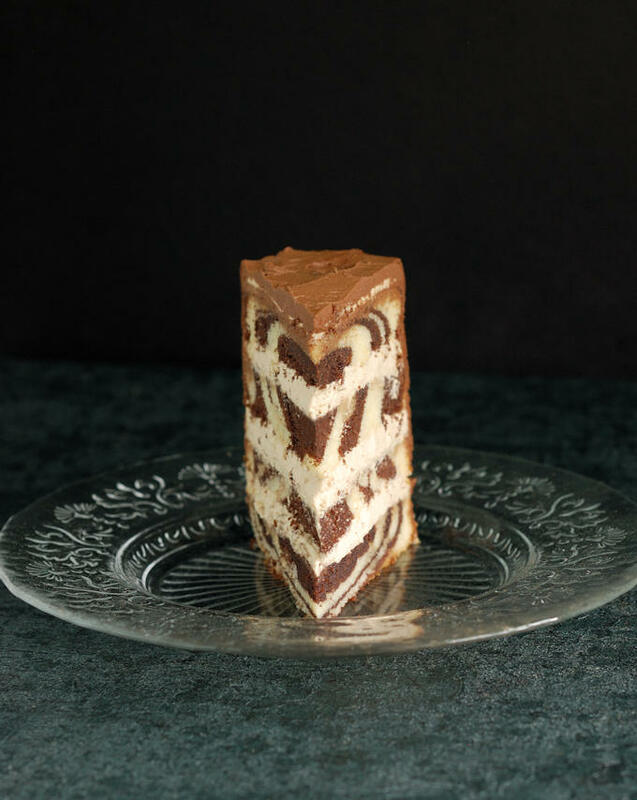 Watch the recipe video to see how to create a Marble Mochaccino Cake! 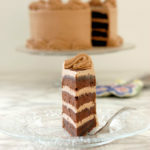 Buttery marble cake is layered with airy cappuccino cream and the entire cake is iced with whipped espresso ganache. 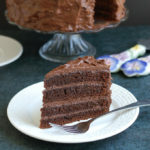 This cake is light as a feather and is a coffee & chocolate lovers dream. 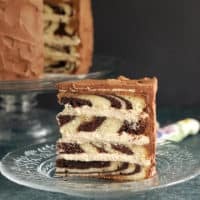 The marble cake layers should be completely cooled before assembling this cake. Remove from heat, add the Kahlua and cool to room temperature. Place the Kahlua (or water) in a small microwave safe bowl. Sprinkle the gelatin over the Kahlua and set it aside until it becomes spongy (bloomed). About 5 minutes. Stir the espresso powder and powdered sugar into the cream and whip the cream to soft peak. Whisk 1/4 cup of the cream into the gelatin then allow the gelatin mix to cool to room temperature. With the mixer running, pour the gelatin mixer into the cream and whip to full peak. Use immediately to fill the cake. Trim the tops of the cakes so they are level. Split each cake in half, horizontally, so that you have four layers. Place the bottom layer of cake onto a serving platter. Generously brush the layer with Kahlua syrup. Set aside 1 cup of the cappucino cream for crumb coating the cake. Spread 1/3 of the remaining cappuccino cream onto the layer. Continue brushing each layer and spreading the filling. Place the top layer, flat side up, onto the cake. Brush generously with syrup. 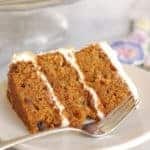 Use the reserved cappuccino cream to crumb coat the cake. Chill until the filling is set, at least an hour. Chop the chocolate into small pieces, none larger than 1/2" or chop roughly and finish chopping in a food processor. Pour the cream into a microwave safe bowl and heat until scalding. You want to get the cream as hot as you can without it boiling over. The time will depend on your microwave, but it should be about 2-3 minutes for a cup of cream. Stir until all the chocolate bits are melted then stir in the Kahlua. Chill the ganache until it is cool and beginning to set around the edges, about 20 minutes (see note). 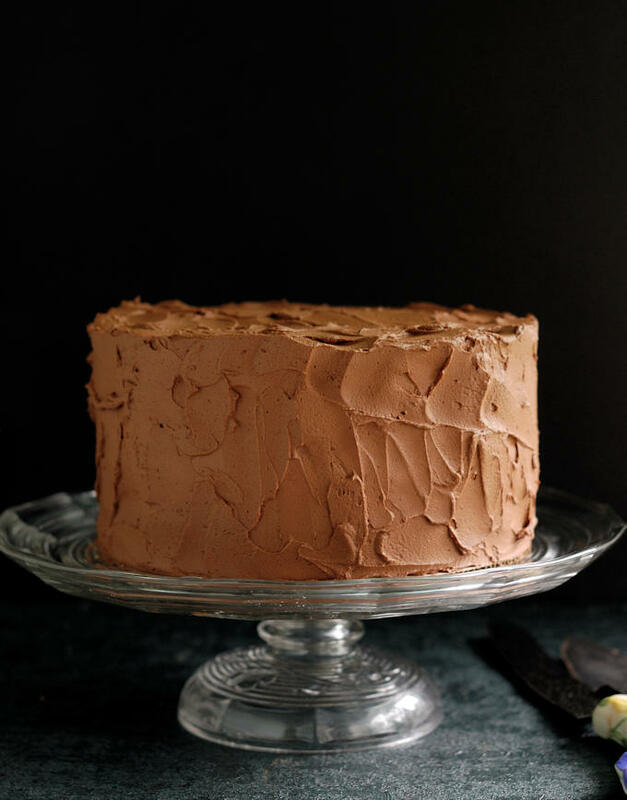 Whip the ganache on medium speed until it is light and airy and looks like frosting. Remove the assembled cake from the refrigerator. Remove the plastic wrap and ice the cake with the whipped ganache. Chill the cake until 1 hour before serving. Leftovers should be refrigerated. If the ganache becomes too firm you can leave it at room temperature to soften before whipping. 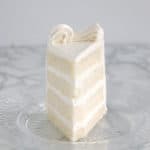 Can this be made into a tall layered cake? Or is the espresso cream too soft? The cake in the photo is fairly tall, about 4.5″. Do you mean a tiered cake, with layer cakes stacked on top of each other? You can use soft filling in a tiered cake as long as you use supports in the lower tiers. It would be fine. You could just flavor the cream with vanilla and leave the espresso and Kahula out of the recipe. You’ll end up with a marble cake with vanilla cream and whipped ganached frosting. Still delish!! Thanks, Luisa! Merry Christmas and Happy New Year to you too.